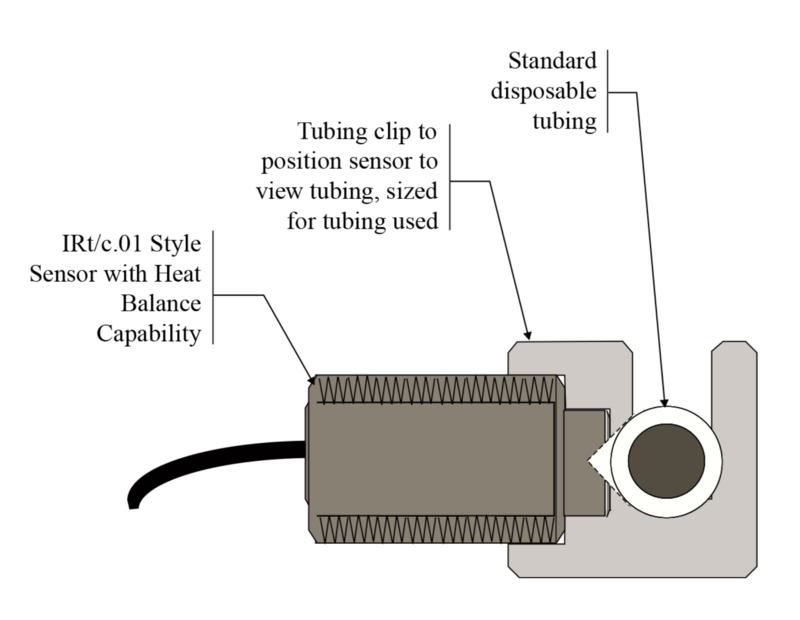 The IRt/c.01HB model pictured, actually measures the internal fluid temperature by measuring both tubing surface and ambient temperatures then calculating the internal temperature necessary to maintain the heat balance. 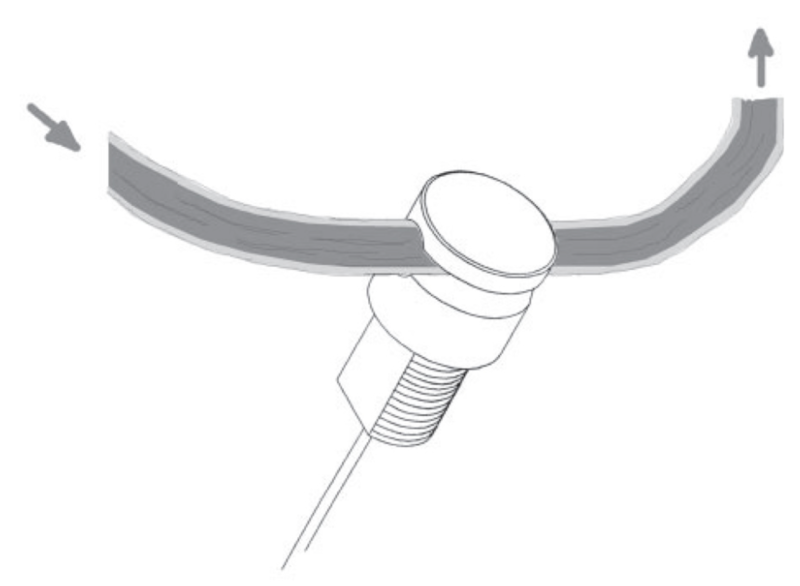 A convenient clip head provides a reproducible mounting location for the sensor and can be quickly attached to new tubing and removed from used tubing. Fluid at temperature Tf flowing in tubing transfers heat via convection through thermal resistance Rf to the tubing inside surface, which in turn conducts heat to the tubing external surface through thermal resistance Rt, which then transfers to the environment via radiation and convection thermal resistance Ro. The temperatures of the wetted surface of the tubing, outside surface of the tubing, and the local ambient are given by Tw, Ts, and Ta, respectively. The IRt/c-HB Series measures both Ts and Ta, and solves this equation automatically for fluid temperature Tf, providing a highly accurate method of monitoring or controlling the temperature of interest. The configuration shown above is the model IRt/c.01HB-J-37C with its convenient tubing clip. 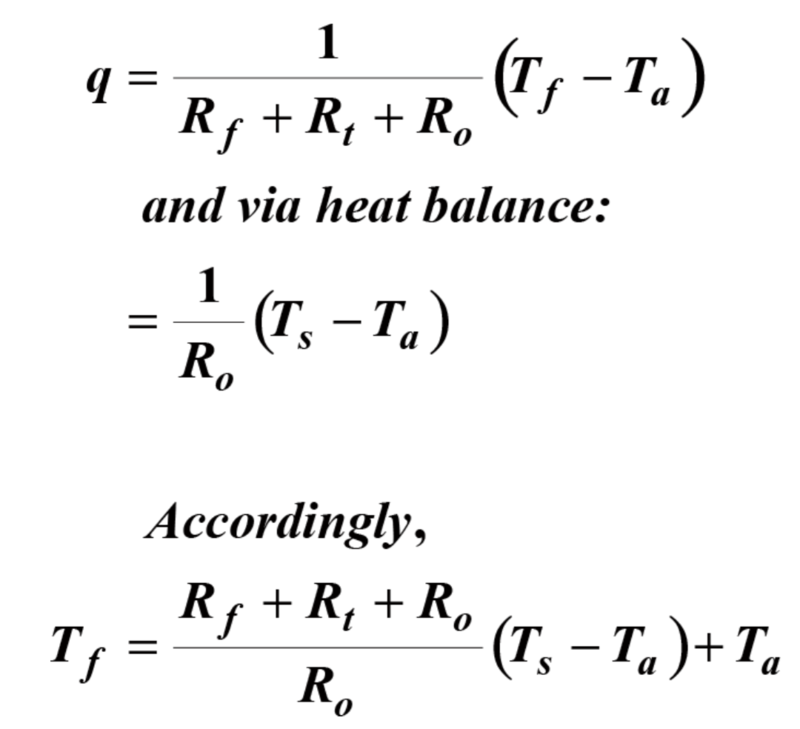 Any of the IRt/c models can be configured for the HB calculation. Contact the factory for further details.